"I can make it work on my own! Watch me! Watch me! 'Hey, Phil. What's up?' 'Oh, I'm great, Phil. How are you?'" The last time Phil Lord and Chris Miller produced and directed a series premiere, my favourite sitcom on TV--the brilliant Brooklyn Nine-Nine--was the result. The first time, which also marked the pair's first collaboration with Will Forte, was for their cancelled-too-soon, 'cult classic' cartoon Clone High. Can you tell from those descriptors that I had very high hopes for The Last Man on Earth? Thankfully, the trio's comedy is truly singular; it's an incredibly funny and, to be frank, kind-of tragic series. Created by and starring Forte, The Last Man On Earth follows Phil Miller as he comes to terms with being the titular last man on Earth. And there isn't really much more plot than that; at least not anything that I'm prepared to reveal. The first episode, "Alive in Tucson," opens with Phil wrapping up a road-trip around the U.S., looking for other humans as well as leaving behind signs saying that he's, well, alive in Tucson. Cut to five months later and things have gone downhill for Phil. To say the least, he's let himself go. I don't want to say too much about the second episode, "The Elephant in the Room," except that I have seen it and it's just as rewarding as the first, and all the proof I need that The Last Man on Earth has 'legs.' The first two installments may not set-up traditional sitcom stability - there's no full workplace or contentious family unit - but they do suggest unlimited potential. It's one of the rare serialized, half-hour series on network television. Instead of sitcom stagnation, where the places and people rarely change or grow, the possibilities are endless for The Last Man on Earth. And, in the right hands, that should be much more thrilling to tune into every week than the repetition typically found in the comedy format. Judging the team solely on their creative output, I don't think Will Forte, Phil Lord and Chris Miller (Phil Miller, get it?) even have left hands. Like Matthew McConaughey, they're three all rights. MacGruber proved that Forte, like the titular character, is a genius, just like The LEGO Movie did for Lord and Miller. The Last Man on Earth's concept requires imaginative directors who don't solely rely on dialogue for laughs and the filmmakers do an exquisite job on the series premiere. There are a lot of wonderful wide set ups to showcase the performer's comedic prowess and the various visual gags (a la the silent era), as well as highlight the protagonist's plight. As for Forte's performance, it can't be described as anything except a tour de force. Or tour de Forte. Sorry. He's not only a terrific comedian but, as Nebraska showed, he can also handle quiet, dramatic moments and both are called upon during The Last Man on Earth. As hilarious as the first two episodes are, the premise still lends itself to some dark territory. Sure, it sounds fun to have the world as your playground - and play Phil does - but it's also pretty lonely. Especially when remembering those who aren't around. The new Fox series is one you don't want to miss. 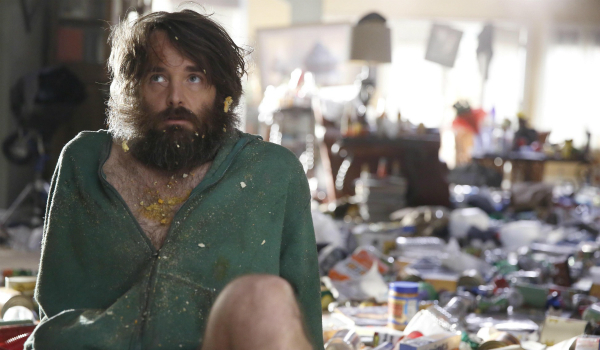 The Last Man On Earth premieres TONIGHT, Sunday, March 1 (with back-to-back episodes starting) at 9:00 p.m. ET on FOX.